Everyone was friendly and explained all procedures. Even scheduled my appointment for the same day when I needed to comeback for a fill in. Will so come again. Everyone was friendly and explained all procedures. Even scheduled my appointment for the same day when I needed to come back for a fill in. Will so come again. Dr. Chang was friendly and thorough. I appreciate he was friendly although I did start to feel like he was askinga lot of personal questions. Unfortunately I have a very very small cavity (first in my whole life) so I have to go back and get it filled. Marci did my cleaning and she was great, I'm really sensitive and while it's still not my favorite thing, she was gentle and kind. Dr. Chang was friendly and thorough. I appreciate he was friendly although I did start to feel like he was asking a lot of personal questions. Unfortunately I have a veryvery small cavity (first in my whole life) so I have to go back and get it filled. Marci did my cleaning and she was great, I'm really sensitive and while it's still not my favorite thing, she was gentle and kind. Dr. Chang is the owner of Blooming Family Dental, the leading dental care center of Essex County. A graduate of NYU College of Dentistry, Dr. Chang provides prevention focused, high quality work with first-class service in a friendly environment. We offer Lunchtime Express Sessions during 12:00pm-1:00pm, as well as 7am & 8am, 5pm & 6pm and Saturday appointments so you don’t have to take time off work. For the 7am & 8am and Lunchtime Express Sessions, Dr. Chang also offers complimentary Oraverse, a revolutionary numbness-reversing solution so you can speak clearly, smile and get back to normal faster at work or home! Dr. Chang also offers Family Scheduling, Children’s Play Area, Beverage Bar with Starbucks, Netflix, Noise-Cancelling Headphones and Financing Options. We accept most PPO plans, and also offer affordable In-House Plans for our patients without insurance! Dr. Chang received his BA in Biology from NYU, and his Doctor of Dental Surgery degree from NYU College of Dentistry. He also received advanced training in Cosmetic Dentistry with Dr. Calamia and Digital Smile Design with Dr. Coachman. 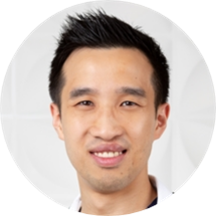 Dr. Chang completed additional training at Bronx-Lebanon General Practice Residency, and is a Fellow of Academy of General Dentistry. Dr. Chang is passionate about helping his patients improve their smiles using implants, veneers, crowns, bonding and Invisalign. Dr. Chang provides relief for patients with root canals and extractions. He regularly attends continuing education courses to ensure his patients receive the most advanced dental care available. Dr. Chang values conservative and ethical treatment planning, and focuses on quality of work that will last as long as possible for his patients. Please visit our website or Instagram to see our before and after examples. Ok, except for the awkward pushy spiel about invisilgn. Usually sarcasm is a form of intelligence but when used towards your patient it sounds callous. After many thought I don't be supporting this establishment ever again. I Love the service that Dr. Chang provide to me. Excellent!!!! Dr. Chang and his team are great. Very kind, and attentive. Glad I chose this practice. Dr. Chang gave me a thorough and skilled initial exam. He explained his findings and recommendations clearly. Great bedside manner, I was excited that I found a great dentist but, he could not finish my root canal and had to send me out to another dentist. He did a filling for me and that was painless. I would go back once I get my root canal completed. The hygienist was very thorough and friendly. Dr. Chang himself was also very friendly. Took the time to go over everything with me and offered some good advice. Would recommend him and this office to others. Cascada Dental Spa is one of the most cleanest, professional, knowledgeable, helpful, caring and humorous people i know they run a great dentist with a 1st class feel. I went in to get my wisdom tooth extracted. It was quick andpainless and very informative. The doctor told me what i should expect and how to take care of it daily. I really loved how comforting they are. If you want a great dental spot and leave feeling happy and satisfied with your dental work please go to Cascada Dental Spa. Dr. Chang is one of the most caring and thorough healthcare practitioners I've ever consulted. A rare professional. I'd stick with him for a lifetime if I could. Was taken in at a reasonable time and examined. Then was left waiting until I brought attention to someone. From the moment I entered the office i was nervous. When i was called the dental assistant was very nice and assured me i was going to be fine. The dentist Theodore Chang was great and took care of my painright away. I will definitly be returning. They were all great and friendly. He is very good. Makes you feel comfortable and was patient with all of my questions and concernes. Highly recommend ! It was good visit; will go back. Loved the treatment and service. My little son (3 yrs old) first dental appointment was memorable. My visit in Cascada is always a great one. This was my first time seeing Dr.Chang he was amazing and answered all of my questions. He was very nice. Definitely my new Dentist! Best dentist visit I've ever had. I left there so informed about what was best for my teeth. I need to have work done, but thanks to Dr. Chang, I feel confident to the plan of work that will be done.I've never had a Dr.Chang go in depth the way he did. I truly recommend him. He is remarkable! Dr. Chang is an excellent dentist!! He was very caring and wam. Best of all he was extraordinarily thoughtful in describing my options. He is very interested in asthetics and gave me an option I never knew about before. Apparently the braces I had as a kidclosed everything in. I thought I was born with such a narrow jaw, not particularly attractive, especially as I age. He gave me a whole new perspective on what could be done "instead of just putting on bulky restorations to the outside of your teeth," was kinda of what he said, I understood and was grateful he thought outside the box for me. Very nice atmosphere. All the workers were friendly and professionals. I made appts for both of my children. ????? Satisfied with my checkup. Dr. Chang understood my problems and will be moving forward with him as my new Dentist. He is informative and understanding. I would definitely recommend this doctor. He completed a very thorough report on my health.